When it comes to purchasing protein supplements, buyer beware! As Natural News has now exhaustively documented, rice protein products sold right now across health food stores like Whole Foods are contaminated with toxic heavy metals. This story is now going global, with mainstream media now picking up this shocking news and millions of grassroots activists taking notice. The fact that rice protein products sold right now are contaminated with toxic lead, cadmium and tungsten is scientifically irrefutable. But which proteins can you trust to be clean? As a leading food research scientist now spearheading this global effort to expose toxic heavy metals in popular products, I’ve conducted extensive research using atomic spectroscopy instrumentation at the Natural News Forensic Food Labs. And that research has revealed which protein products are clean vs. which ones are contaminated with toxic heavy metals like lead, cadmium and tungsten, all of which are linked to serious degenerative diseases. All the products listed below were found to be extremely clean in terms of heavy metals, often at near-zero levels. Keep in mind, however, that our lab does not test for pesticides or other contaminants. We test for heavy metals only. The good news is that all these products are so low in heavy metals, they pose no risk whatsoever of heavy metals poisoning. 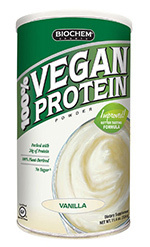 This protein, which I purchased at Whole Foods, is one of the cleanest vegan proteins around. 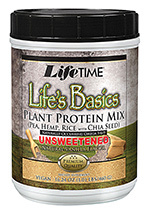 It’s made from a combination of mostly yellow pea protein and hemp seed, with a small amount of rice protein in the mix. Unfortunately, some of the flavors are made with fructose, a refined sugar that I normally wouldn’t recommend consuming. Still, the level of fructose in the product is probably very low, considering it’s also sweetened with xylitol and stevia. The SunWarrior “Warrior Blend” products have consistently tested very clean in terms of heavy metals. This is different from their non-blended “classic” rice protein line which so far tests considerably higher. 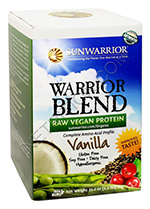 The Warrior Blend products are made from a combination of pea protein, cranberry protein and hemp protein. As you might expect, these all tend to be very clean sources of dietary proteins. My only complaint with Warrior Blend is about the intensity of the sweeteners used in the blend. For my taste, they’re just a little too intense. But that’s a personal preference and I know many other people who really enjoy the taste. 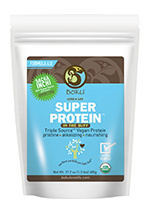 Boku Superfood has just come out with a new super clean protein based on the Sacha Inchi seed from the rainforest. It’s called “Super Protein In the Buff” and it tests very low in all heavy metals, with zero tungsten. Boku is one of the many companies that has been rapidly developing new, improved formulations to release to the public, and I believe this is the first press coverage of their new product based on sacha inchi. In fact, this is the only sacha inchi product in this list (so far). 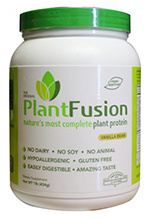 PlantFusion tests very clean of heavy metals and uses a truly unique combination of proteins such as pea protein, artichoke protein, sprouted amaranth powder and other innovative ingredients. The product tastes great but also contains fructose like a few other proteins. If not for the fructose, this would be a five-star product. Even with the fructose, it’s still something worth considering unless you’re really trying to cut all sugars from your diet. This result was a pleasant surprise. Before I ran all these tests, I wasn’t familiar with the Biochem line of protein products, but it turns out their vegan protein powders are very clean in terms of heavy metals. Similar to some other products mentioned here, Biochem’s protein formulation is based on pea protein, hemp protein and cranberry protein. This blend seems to taste very nice and perform really well in terms of heavy metals testing, so I wouldn’t be surprised to see more companies pick up on it. 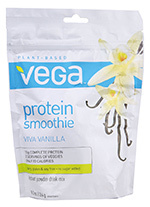 The Vega company, based in Canada, has consistently produced very clean protein products in terms of heavy metals. Everything I’ve tested from this company has been relatively clean. Vega told me part of the reason is because they must also adhere to strict Health Canada requirements, which are far more stringent than anything by the FDA in the USA. Many of the rice protein products sold in the USA, for example, would be illegal to sell in Canada due to their high levels of lead. 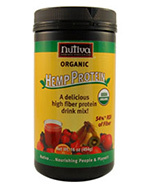 Nutiva’s hemp protein products have always tested very, very clean in terms of heavy metals. In fact, I’ve never tested a hemp protein product that showed any concerning levels of any heavy metal. Perhaps this is because a lot of hemp is grown in Canada where the environment is relatively well protected. It might also be related to the plant itself and its unwillingness to uptake high levels of toxic metals even if they are present in the soils. More research is needed on this point, actually, and I’m hoping to conduct it myself in a greenhouse laboratory in the future where I plan to test heavy metals uptake by various plants in contaminated soil. Ruth’s Foods hemp-based products have consistently tested very clean in terms of heavy metals. 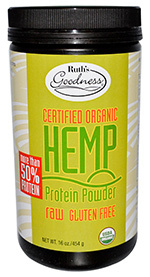 In fact, Ruth’s Hemp Protein is about 1/10th the lead levels we’ve found in some rice protein products. That’s a huge deal when you’re consuming protein on a daily basis. Ruth’s is also a Canadian company, and one of the patterns we tend to see in our testing is that Canadian superfood companies consistently produce really clean products overall. Sproutein is probably the most nutrient-dense protein you’ll ever find. 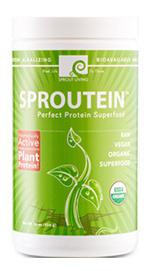 It’s made from various sprouts, pumpkin seeds, goji berries and other superfoods. The taste can be rather intense for people not used to consuming superfoods, but the nutrition is just top-notch. Personally, I would highly recommend this protein to anyone battling a serious disease and trying to restore vibrant health. The heavy metals levels in this product tested very low, a fact that isn’t surprising considering it’s not made from rice protein. Living Fuel has introduced a new formula for 2014, and I’ve tested it for heavy metals. It showed very clean results, clocking it at around 1/10th the lead found in some rice protein products. Living Fuel is a high-quality, direct-to-customer supplier of several very innovative meal replacement products and protein products. 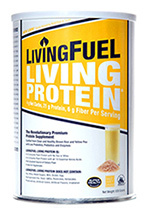 Living Fuel Protein is based on a blend of pea protein and some rice protein. Pea protein tends to be very clean overall, so most formulas based on pea proteins will test quite clean. Bottom line? Do your homework before consuming ANY protein product! The lesson in all this is that the protein product marketplace contains both clean and contaminated proteins. Your job is to learn to tell the difference, and my job is to run the lab tests that empower you with those answers. The best way you can help support me in this effort is to share this story and spread the word.